Asphalt maintenance is essential to preserve the integrity and appearance of your parking lot. After all, you spent good money having your lot installed so it only makes sense to invest in regular upkeep. Refreshing pavement striping and other markings are an essential component of parking lot maintenance. Pavement markings should be refreshed every one or two years. Drivers find it difficult to park when parking lot striping and pavement markings have faded. Clearly marked parking spots permit the most possible trucks and cars to park in your lot. Add in the fact that clearly marked parking spaces help ensure vehicles are parked in a legal manner and it is easy to see why more and more business owners are having their pavement markings refreshed on a yearly basis. Parking lot striping will make your property that much safer for customers, colleagues, and employees. Clear pavement markings are necessary to ensure people can see exactly where they should drive and park. These markings let drivers know when to slow for pedestrians, progress through the parking lot, and generally move in an orderly manner. Pavement markings that have faded will prove difficult to see, heightening the chances of an accident. Some customers will file a lawsuit against your business if they are injured or involved in an auto accident on a lot with faded markings or striping. The most successful businesses are detail-oriented. Newly-painted parking lot striping makes your business look and feel that much more welcoming. The bottom line is a poorly-maintained parking lot makes current and prospective customers think you do not care about the perception of your business. You can avoid this by having your parking lot striping and other markings refreshed regularly. The ADA, or Americans with Disabilities Act, has specific regulations that must be adhered to at all times in order to achieve full compliance with the law. ADA regulations were passed into law to provide handicapped individuals and others with a means of accessing the facility without encumbrance. ADA regulations require clearly marked parking spaces for vehicles as well as vans. If your pavement markings are not in accordance with the law, you run the risk of being slapped with stiff fines. If your parking lot pavement markings or striping have faded, it is time to take action. 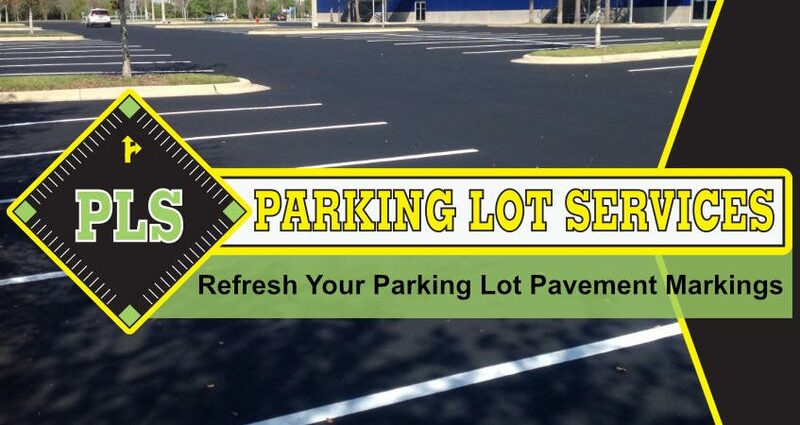 Our parking lot maintenance team is here to refresh you parking lot pavement with fresh markings, perform asphalt repair in Tampa and ultimately bring out the best in your property. Reach out to us at (813) 880-9100 to learn more about our services and schedule an appointment.